The British company welcome the 15-year-old who is currently based in Oxfordshire. Maddy rode in the 2016 GB Pony European Team in Vilhelmsborg, Denmark, on a mare that she trained from a 5-year-old. Following this success she was then offered the ride on a horse, Monsieur Pomerol, which enabled her to be part of the GB Junior Team at the European Championships the following year in Roosendaal, Holland. She continued this partnership in 2018 at the same time as riding Sandy Phillips’s stallion, Diamond Design. It was this stallion that she took to the 2018 Junior Europeans Championship in Fontainebleau, France. Maddy now has three young horses at her base and plans to train them up through the levels. 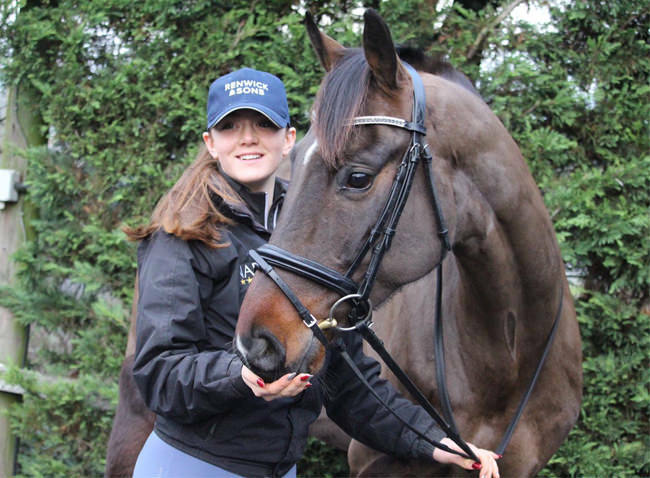 The brand also sponsor MBE & Paralympic Dressage Rider Natasha Baker, Show Rider & Producer Katie Jerram – Hunnable and International Show-Jumper Jessica Mendoza.